Needing a caterer for a special event in your life? Wanting high quality food in addition to excellent service? Then look no further, we'll be more than happy to serve you! 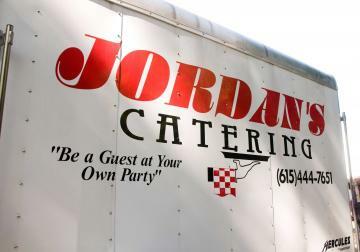 At Chester Jordan's Catering, we want you to be a guest at your own party! We're equipped to handle an event of any size or theme. Whether you want an elegant dining scene or a wild extravagant feast, we can fulfill your needs! So feel free to sit back, relax, and enjoy. So many different events have varying preparations involved. We've compiled a list of companies we've worked with. We've found them to be honest and reputable business-oriented individuals who strive to make their clients happy. Please call on them when requesting information or quotes! We're proud to serve you in anyway we can! Our highly experienced catering professionals are prepared to make sure that you and your guests are well fed while you enjoy your party. As a locally owned and operated company, we can give our customers the option to customize their menus. Our food options are diverse, high quality, and endless. Contact us today and learn more about our services! We strive to provide our customers with the best service around. Not only that, but we want to get your food to you with quick, efficient speed. We can serve 400 guests in 45 minutes! While we are dedicated to promptness, we also maintain high quality when it comes to the preparation and presentation of our food. So if you're looking for a quick and efficient caterer, you're in the right place!